It has a massive impact on us as a race, that is undeniable. I’m going to focus on conflict between two or more individuals, I understand that the impact of egos extends to a much larger scale but that is another rant for another day. Here’s the scenario: Two people arguing over something, the feud is dying out but not one of them wants to back down and so the conflict drags on and on and on. When you have an audience or bystanders, it’s basic human instinct that your ego will inflate, even if you’re not trying to impress anyone. It’s a commonly known fact that such happens not only in men, but also women. each side trying to gain victory over the other. But why not just accept defeat once in a while? Yeah, we get it, you’re a ‘tough guy’ but sometimes it reaches a point where everything suddenly becomes an act of immaturity. It’s time to call it a day, yet you don’t realize it. Or in fact you actually do, but ego gets in the way of surrendering, which gives you the drive to keep pursuing an endless goal. No one wants to be the ‘loser’ or the defeated or the second best. You want to ‘win’ don’t you? It’s not even a game, but the actions are demonstrating that your mind-frame is still that of a child. I’ll tell you something, the person who calls it quits in a dispute, brings about a truce and ends the conflict, is anything but a loser. It still remains that the person who backs away first, is a bigger man or woman than the other person will ever be (and I’m not talking about weight). There comes a time in one’s life, when you achieve the state of maturity and think about things like a civilized adult should. Maturity is a state of mind rather than your age, don’t get it confused. Oh, and before you ask…. NO, I am not a pacifist by any means. Of course you should try to be the very best. (like no one ever was) – who knows what that was a reference to? 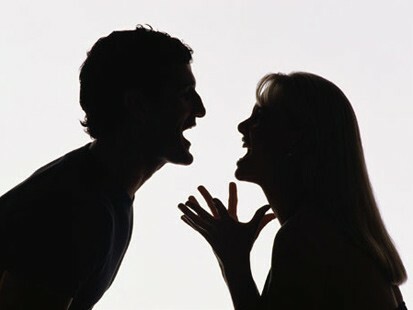 All in all, conflict is good…without it, life would be very boring. Believe me. You just gotta know when to hang up your boots, and tackle more important things in life.